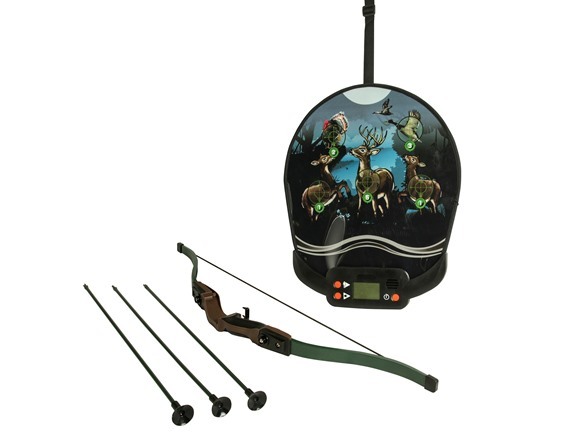 Electronic Bow Hunt Game with Automatic Score. 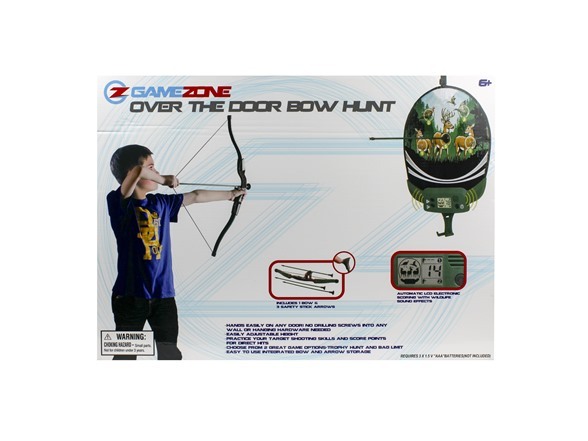 Raise Your Bow, Aim and Shoot at the Targets! Safe for Kids and Indoor use. Adjustable Height, Safety Stick Arrow Sticks to the Target when you make contact. Hunt Like a Pro! Provides Endless Hours of Fun. Practice your Target Shooting Skills to score points for direct hits.